According to BrightLocal, 88% of online shoppers trust reviews posted to consumer websites over word of mouth. Who knew that the opinions of strangers would make such a difference in consumer behaviors? So, where do you want your reviews posted? How do you encourage customers to take the time to review your business? 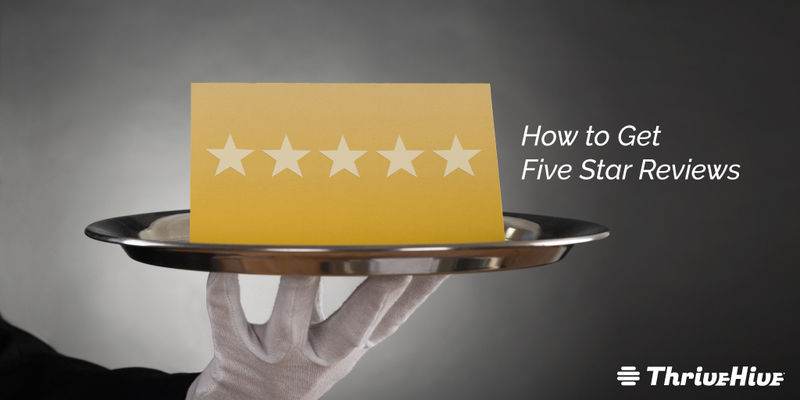 Let’s take a look at how you can amp up your online credit (and business reputation) by jockeying for five stars across the board. Where Can You Get Five Star Reviews? Yelp is one of the most popular company directory websites with an easy-to-use platform for consumers who want to leave their opinion regarding products and services. Once you set up your Facebook business page and designate yourself as a ‘local business’ there will be on option on your homepage for users to write a review. When your business is Googled, a business summary will populate on the right-hand side of the page which also displays your rating. You can set yourself up to get 5-star reviews via Google through a Google My Business listing. If you’ve got a service related business this is a terrific review site where five stars can go a long way. Any and all businesses should have their info with the Better Business Bureau. Audiences who are less tech-savvy or social media-oriented are still likely to know about the BBB.